I've shared with a few people over the years that the Lord has given me a desire to write a book. I've also been encouraged by a few of you to do such a thing. I've been seeking the Lord and praying about this for some time now, waiting for the right time. But anyway, without all the noise and the distractions of "dad, dad!" all morning long (which I do miss right now - you don't know what you've got till it's gone! ), I've been thinking that this is an opportune time to try to get focused. And so I bring to you these prayer requests! I love writing - but I'm not a very disciplined writer unless I force myself to be. I blog kind of haphazardly - which is really ok with me because I'm not trying to be deeply intellectual or deeply theological. I'm just sharing what's on my heart. If it appears intellectual or theological, it's generally by mistake... LOL... or simply because it's what's truly on my heart at the time. However, in writing a book, I don't want to be so haphazard. Yes, I want to share my heart, but I also want it to be something that will stand the test of time. I want it to flow, and to be an easy read, and to not be "too" theological or doctrinal, while at the same time not neglecting the truth of scripture for even an instant. Like I said, I'm not a disciplined writer unless I have to be! In writing 20 monthly articles for my church between 2005 and 2007, I worked well when I knew the articles were due. I say all this to say that as of right now, I don't have a "deadline" for writing a book. So... it's very easy for me, if I'm not feeling disciplined to write or concentrate for a length of time, to put it off till another time. Also, one major difference between blogging and writing a book is that blogging generally involves one "topic" at a time. Same with writing an article. That makes it pretty easy for me to do. But with writing a book, there's a "bigger picture" involved, and all the individual paragraphs and chapters need to sort of flow to make up the big picture. Like I said, I have the big picture in mind, but breaking it down into sections and chapters, especially ones that make some sort of sense when they're put together, seems kind of overwhelming to me. My thought, and something my brother suggested to me a couple of months ago, is to come up with some sort general description of the book, and then a brief outline that breaks it all into sections/chapters. I'm sure that will be of great help. I'll just say that I've always hated outlines! I see their purpose and benefit, but I hate doing them! I think what I'm trying to say is that writing a full book involves a lot of planning and thinking... and of course, work, and I'm asking for your prayers in putting all of this together! Throughout all of this, I'm keeping in the forefront of my mind and heart that this is Father's work, not mine. It involves the physical and mental work and concentration of my body and mind, but it's Father who's doing it in and through me. I would also ask that if anyone has any experience, advice, tips or suggestions that might help in this process, feel free to share them with me, either in the comments section or through email (my email address is on the side of the blog). Thanks so much! The message of God's grace has obviously forever changed my life. I've learned a great deal, and I'm always continuing to learn, and my hope is to keep passing on the message of truth and grace that sets people free. But I prayed for you that God will give you the words to right and the discipline to write them and the ability to break it into chapters. I'll keep praying. Hope it all works out really good, brother! Wow! I am excited for you, Joel! Also, looking forward to reading your book. It's funny that you talked about waiting till the last moment to start doing stuff. I am kind of the same. At work, sometimes I get an entire month to finish my project, but I wait till the last week! I did the same at school. I didn't learn anything until the time of exam. My prayers are with you. I want to see the truth being revealed through different media, and writing a book is certainly a great idea to reach to a vast number of people. Tips? Well, nothing in particular. (I have never written a book before!) But I would say - stay close to your heart and the Scriptures. I would agree with Bino. Stay very close to the Scriptures so as to prove to people what the truth is. Anyone can make something sound good. Think of writing as buildng a house- you have a beautiful finished product in mind, but where do you start? Your outline is your blueprint, but your outline by its very nature becomes more and more in depth as you break each "system" in your house down into components. A house begins with a foundation, then studding up, then wiring, plumbing, then hv/ac, then insulation, sheetrock, etc. Under each of these "systems", you break it down again and again, 'til your writing fairly short paragraphs. If you will work by a strict, detailed outline, your writing will be managable, otherwise, you'll feel overwhelmed and your writing will wander all over everywhere. If you can muster up the discipline to write a strong outline, you'll be doing yourself a favor. At least, that's how I taught how to write a term paper. I like what Ann Lamott says, "bird by bird." Get to work you slacker! But seriously, I think that is a great idea. I know you probably have some people in mind, but if not, I would be happy to be proof reader. Joel--I'm glad to hear that you're thinking about tackling a project like this. About 2 months ago, I finished a book I'm actually selling right now as an e-book. I'm probably the least disciplined person on the planet. The most helpful thing for me was to set aside a specific time every day to write. Then I kept to that schedule rigidly. I think it also helps a lot if your wife is on board and understands how important that time is. you will be able to gain insight i think. another well of information and a unique wit. Wonderful! I'm so excited for you! A book! "... I have always written at my best when I've been under pressure. That is, when I've had a deadline. Whether that's good or bad, I don't know! I always got A's and B's on writing assignments in school - but I always waited until the very last possible moment to begin writing." I always secretly admired her ability to procrastinate to the last minute, but produced great work. I was more of the type who took longer to write essays, etc...but also received A's and B's too. "I think what I'm trying to say is that writing a full book involves a lot of planning and thinking... and of course, work, and I'm asking for your prayers in putting all of this together!" Indeed, you will be in my prayers, Joel!! Joel! Sorry I have been out of the blog loop for a while so that is why I am late in responding to this! Man, this is your desire, I remember we were talking about how you wanted to write a book but were having a hard time getting started with all the details and stuff that are involved. I know in my heart that Father will use whatever you have to say to bring light and truth to others, especially if you speak from your heart as I know you would as you do all the time! It excites me to see you still seeking your book adventure, and I know Father will help you the whole way and we, your brothers and sisters here will get to reap the benefits of what you bring forth in writing! I am thrilled and blessed for you and I will definitely pray that Father will lead you and guide you to the better end! Hey, Little Brother! This is great news! You've got a wonderful gift for writing and teaching. Since it's now Father's time, he'll enable you to do what needs to be done. I'll definitely be praying. I can't wait to read it. All I have to say is go for it!!! and my advice would echo Aida's!!!! Thanks, everyone, for all the encouragement and tips/advice. I'm keeping this post bookmarked (as well as saving the emails that have come in) so I can keep coming back and looking at what you've all said. Who knew a year ago... two years ago... that we would have such a great community of online friends, supporting and encouraging one another! I very much would like to read it when it comes out, Joel. I like reading your posts and there is a lot that I can learn from you. As to writing tips,all I would say is lay out your case clearly from scripture. 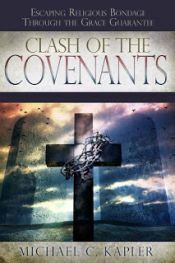 Depending on the content,etc,set out the new covenant as the goal and purpose of the sweep of redemptive history,so people can get a sense of the unity of scripture with the veil removed. I guess doing this-writing it warmly from your heart in an unforced style that comes naturally -is best. You'll know your goal,in the context of the limitations of one book...perhaps it would be best to navigate from start to end with the least number of points required on the reader's part for good,accurate 'navigation', which also still allows you to be not too cramped and formulaic? Just some thoughts. Enjoy it as an act of worship. Thanks for the encouragement and tips. It will definitely lay out my case from scripture. In fact it's not really "my case" that I'm trying to make, but it's the case that scripture makes that I'm wanting to put in practical, understandable, applicable language. And yes it will all be from the perspective of the new covenant, including the many differences between the old and the new covenants, and the biblical reasons for each, and how it all applies (or doesn't apply) to the life of the Christian. Hey everyone! Here it is, three years later --- three years after this post and these comments --- and still no book from me, even after all your excellent comments and encouragement! LOL :) But something has changed. After this past summer break, the kids are back in school and I've been taking a little bit of time each day to build an outline and to look back on past blog posts and my past notes to gather together ideas and writings that would fit well into a book! It seems that whatever has previously hindered me is being swept out of the way and I'm finding myself being able to be disciplined to do this. I don't know what it is, or why "now" (after so many years of thinking "I hope this is now the time for this"), but somehow I've been able to put the distractions aside and head face first into this. The reason I'm writing this here is because as part of looking back at past blog posts, I came across this one and I remember the feeling of warmth and encouragement from all of you, my friends, and I wanted to thank you all for your encouragement back then and to ask you for your continued prayers in this current season. You are all loved! Thanks so much for the fellowship that we once shared quite a bit more here on the blogs. :) And I know we are still a 'family' even though the season of blogging seems to have died down considerably.